This letter was written by Pvt. Albert Ebenezer Swap (1839-1915) of Co. C, 7th Illinois Cavalry. Albert survived the war; he was mustered out on 12 July 1865 after nearly three years of service. Albert was the son of Andrew Swap (1803-Aft1870) and Sybil Hitchcock (1805-1884) of Ophir, La Salle County, Illinois. 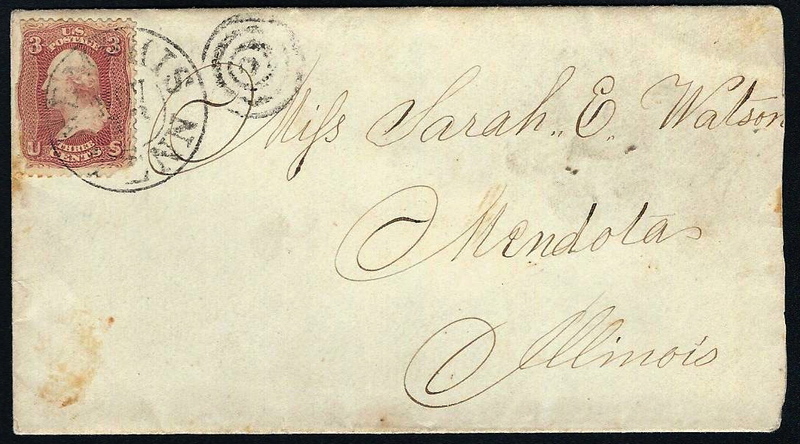 Albert wrote the letter to Sarah Elizabeth Watson (1843-1920). Albert and Sarah married in December 1866 in La Salle County, Illinois. The identity of Sarah’s parents, born in Rhode Island, have not been learned. She may have been the same Sarah E. Watson enumerated in the household of a Newport, Rhode Island, family where her relationship is given as “niece.” Perhaps Sarah was orphaned at an early age. After the fall of Vicksburg, the 7th Illinois Cavalry served with the Third Cavalry Brigade of the XVI Army Corps, headquartered at Memphis, Tennessee. It was camped north of Collierville, Tennessee, when General Chalmers (CSA) attacked the garrison with 2,500 troops on 11 October 1863. A portion of the troops circled around the north side of the town and attacked the camp of the 7th Illinois Cavalry and routed them, capturing and burning their supplies. The 7th Illinois Cavalry was able to regain their reputation when General Chalmers repeated the attack on Collierville on 3 November 1863. The Confederates were repulsed at this second Battle of Collierville by the Union Colonel Edward Hatch, while leading the 7th Illinois Cavalry, the 6th Illinois Cavalry, 2nd Iowa Cavalry and the 1st Illinois Light Artillery. I address you a few lines in answer to your kind message (bearing date Oct. 12th) which come to hand last evening. I need not say I was very glad to hear from you as it is a matter of course for if I had not wished to hear from you I would not have written. It seems that you did not deem the first letter I wrote you worthy a reply. I do not know as I could blame you for that as I was writing to you without an invitation and very little acquaintance, but it gave me great pleasure to receive this note from you as it is very lonesome here where we can not hear from our friends at home. You seemed to think that there was one near you who claimed all of my attention but you are a little mistaken. I admit there was one time you would have been right, but that time has past. You must have been misinformed by someone when you was told that I never knew what it was to enjoy the society of ladies until I got acquainted with Miss P. for that is a mistake. You spoke of going to Mendota one night in the rain. I confess I enjoyed myself better than I do standing picket in the wilderness of the South. Do not ask to be excused for writing so long letters for they are just what suits me. I think I am the one that I should ask to be excused for writing to you without having an invitation to do so. We have had some very hard fighting to do since I wrote to you last. On the 11th of October, we was attacked by a force under the Rebel General [James Ronald] Chalmers. They attacked us in camp with a force of over twenty to one. We kept them out of camp ½ an hour, then they routed us and drove us two miles acrost Wolf River. They burnt our camp and all of our clothing and took quite a number of prisoners. my bedfellows was taken. Then we were attacked again on the 3rd of this month by the same force but we had men enough to whip them badly. The Union loss was 3 killed, 10 wounded. The Rebels state their loss in killed, wounded, and prisoners to be 200. The battle lasted two and a half hours. Accept my best respect and sincere thanks for your kindness in answering my poor message, and believe me your friend, and I should be very happy to hear from you again. ¹ Four minor battles occurred in 1863 at Collierville, Tennessee, during a three-month period. The two largest battles occurred on October 11 and November 3, 1863. The battle on October 11 was the largest land battle fought in Shelby County, Tennessee. The reports from the Union commanders in official records also refer to the town as Colliersville. In the battle on 3 November, General Chalmers — as he had done only three weeks earlier — attacked from the south with McCulloch’s and Slemon’s brigades. The Union garrison was defended by eight companies of the 7th Illinois Cavalry Regiment and two howitzers. Col. Edward Hatch quickly arrived with the 6th Illinois and 2nd Iowa Cavalry Regiments. The Confederates launched an attack with only part of Slemon’s brigade, believing faulty intelligence that it was lightly defended. 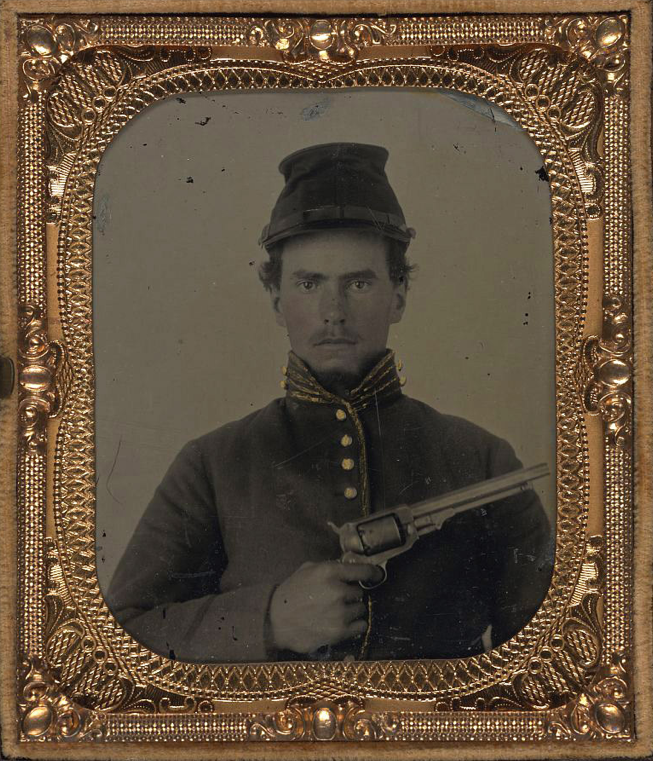 The Union 2nd Regiment Iowa Volunteer Cavalry opened fire with their repeating Colt revolver rifles and repulsed the attack. Surprised by the unexpected appearance of the enemy on his flanks, Chalmers concluded that he was outnumbered, called off the battle, and, to ward off Union pursuit, withdrew back to Mississippi. Chalmers reported the loss of 6 killed, 63 wounded, 26 prisoners, including Colonel James Z. George, commanding the 5th Mississippi Cavalry. Hatch reported the loss of approximately 60 casualties. Sarah Elizabeth WATSON was the daughter of Joseph Lyman Watson (1806-1893) and Alsa Ann Phillips (c1809-1848). Lyman (he went by his middle name) was born in Rhode Island, the son of Benjamin Watson and Mary Young. Alsa Ann’s father was Simon Phillips, who died in Glocester, Rhode Island (will proved 26 Feb 1848 — daughter “Alcy” Watson died two days later). If you want Benjamin Watson’s ancestors, I can provide those, too.